This page contains info on Lexmark MS310d laser printer and MICR toner cartridges. See PRINTERS for currrent list of all printers in stock. 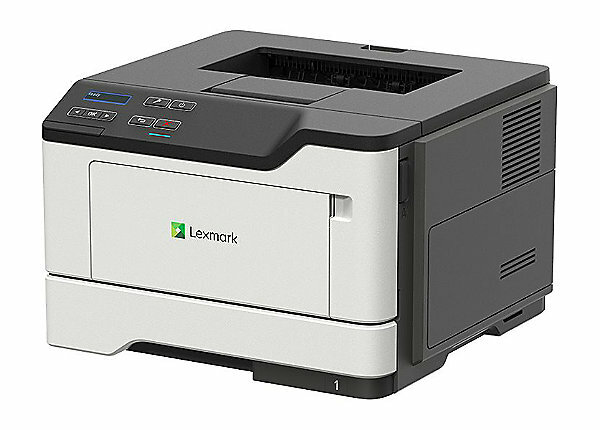 in stock for this & other Lexmark printers. LOWEST PRICE ANYWHERE. Find lower price within 180 days, we refund difference + 20% ! Print up to 300% more checks per cartridge when used with our Max-Filled MICR Magnetic Toner Cartridge. Print checks to bank specifications. American Bankers Association (ABA) and Federal Reserve specifications require MICR magnetic toner. This allows check readers at banks and retail stores to automatically scan numbers. Without MICR toner, you risk the check or draft being returned unapid and treatment as a fraudulent check or bank draft. All MICR toner is not alike. 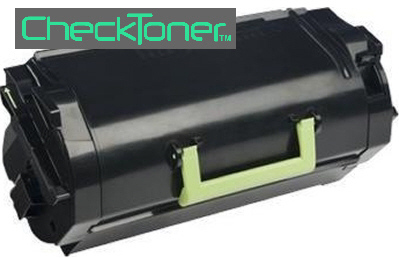 ChecksNet MICR Toner Cartridge for Lexmark B2338DW printers will print approximately 73,700 checks ... 64,700 more printed checks than cartridges from other suppliers. Your printing cost per check will be PENNIES! Some MICR toner is unreadable at banks and retail stores. Cheap toner flakes off paper. We invested years formulating & testing our MICR toner. We guarantee every MICR cartridge for 180 days or we'll replace it. Our MICR cartridges can be refilled. Return empty and we deduct up to $15 off next MICR cartridge. & B2338DW MICR Imaging Unit cartridge. We DO NOT sell printers separately. 30.64 lbs. (34.6 LBS in factory carton). We supply MICR cartridges for most Lexmark , Hp, Samsung, Xerox, Lexmark, Konica, Minolta/QMS, Panasonic, IBM, Canon, Okidata, Source Technologies and Epson laser printers. Just your make & model and we'll promptly quote you a price. Samsung Model 4500, 1210, 1250 or 1430 laser printer Order MICR toner from us and get the lowest cost per page. We can also supply magnetic MICR toner cartridges for ALL other Samsungs such as the 1450 or 6060, Hewlett-Packard Hp4, Hp2, Hp1200, Hp1010, Hp1012 Hp 4000, Xerox, Lexmark E210 and Brother MFC laser printers. Samsung Model 4500, 1210, 1250 or 1430 laser printer Order MICR toner from us and get the lowest cost per page. We can also supply MICR cartridges for ALL other Lexmarkamsungs such as the 1450 or 6060, Hewlett-Packard Hp4, Hp2, Hp1200, Hp1010, Hp1012 Hp 4000, Xerox, Lexmark E210 and Brother MFC laser printers. Samsung Model 4500, 1210, 1250 or 1430 laser printer Order MICR toner from us and get the lowest cost per page for using magnetic toner. We can also supply MICR cartridges for ALL other Samsungs such as the 1450 or 6060, Hewlett-Packard Hp4, Hp2, Hp1200, Hp1010, Hp1012 Hp 4000, Xerox, Lexmark E210 and Brother MFC laser printers. Samsung Model 4500, 1210, 1250 or 1430 laser printer Order MICR toner from us and get the lowest cost per page. We can also supply Lexmark cartridges for ALL other Samsungs such as the 1450 or 6060, Hewlett-Packard Hp4, Hp2, Hp1200, Hp1010, Hp1012 Hp 4000, Xerox, Lexmark E210 and Brother MFC laser printers. 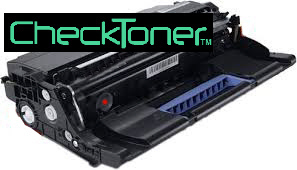 Samsung Model 4500, 1210, 1250 or 1430 laser printer Order Lexmark toner from us and get the lowest cost per page. We can also supply magnetic MICR toner cartridges for ALL other Samsungs such as the 1450 or 6060, Hewlett-Packard Hp4, Hp2, Hp1200, Hp1010, Hp1012 Hp 4000, Xerox, Lexmark E210, Lexmark , Lexmark MS310d and Brother MFC laser printers. Samsung Model 4500, 1210, 1250 or 1430 laser printer Order MICR toner from us and get the lowest cost per page. We can also supply MICR cartridges for ALL other Samsungs such as the 1450 or 6060, Hewlett-Packard Hp4, Hp2, Hp1200, Hp1010, Hp1012 Hp 4000, Xerox, Lexmark E210 and Brother MFC laser printers. Samsung Model 4500, 1210, 1250 or 1430 laser printer Order MICR toner from us and get the lowest cost per page for using magnetic toner. We can also supply MICR cartridges for ALL other Samsungs Lexmark such as the 1450 or 6060, Hewlett-Packard Hp4, Hp2, Hp1200, Hp1010, Hp1012 Hp 4000, Xerox, Lexmark E210 and Brother MFC laser printers. Samsung ML-MS310d Model 4500, 1210, 1250 or 1430 laser printer Order MICR toner from us and get the lowest cost per page. We can also supply MICR cartridges for ALL other Samsungs such as the 1450 or 6060, Hewlett-Packard Hp4, Hp2, Hp1200, Hp1010, Hp1012 Hp 4000, Xerox, Lexmark E210 and Brother MFC laser printers. Samsung Model 4500, 1210, 1250 or 1430 laser printer Order MICR toner from us and get the lowest cost per page. We can also supply magnetic MICR toner cartridges for ALL other Samsungs such as the 1450 or 6060, LexmarkHewlett-Packard Hp4, Hp2, Hp1200, Hp1010, Hp1012 Hp 4000, Xerox, Lexmark E210 and Brother MFC laser printers. Samsung ML-1740 SCX-4216 Model 4500, 1210, 1250 or 1430 laser printer Order MICR toner from us and get the lowest cost per page. We can also supply MICR cartridges for ALL other Samsungs such as the 1450 or 6060, Hewlett-Packard Hp4, Hp2, Hp1200, Hp1010, Hp1012 Hp 4000, Xerox, Lexmark E210 E232 Lexmarkand Brother MFC laser printers. Samsung ML-1750 Model 4500, 1210, 1250 or 1430 laser printer Order MICR toner from us and get the lowest cost per page for using magnetic toner. We can also supply MICR cartridges for ALL other Samsungs such as the 1450 or 6060, Lexmark MS310d Hewlett-Packard Hp4, Hp2, Hp1200, Hp1010, Hp1012 Hp 4000, Xerox, Lexmark, Lexmark E210 and Brother MFC laser printers. Samsung SCX-4216 Model 4500, 1210, 1250 or 1430 laser printer Order MICR toner from us and get the lowest cost per page. We can also supply MICR cartridges for ALL other Lexmark, Samsungs such as the MS310d or MS310dn, Lexmark MS310d Hewlett-Packard Hp4, Hp2, Hp1200, Hp1010, Hp1012 Hp 4000, Xerox, Lexmark E210 and Brother MFC laser printers.